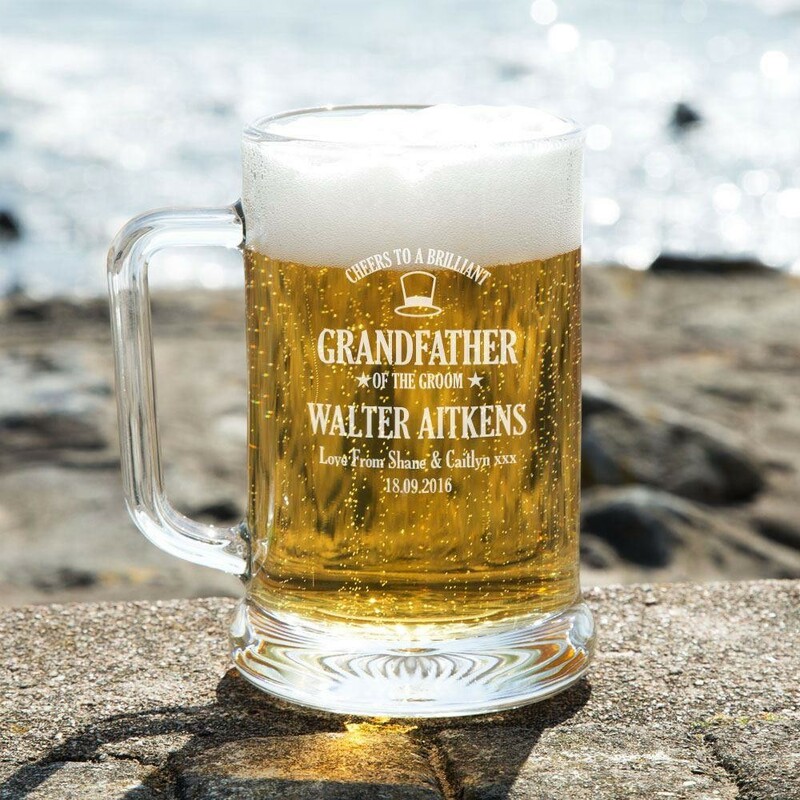 A beer loving Grandfather of the Groom will love to receive his very own glass pint tankard, complete with personalisation! Say a big “thank you” in style for all his help after the big day has passed. The design features a top hat and typographic message which reads: “Cheers to a brilliant Grandfather of the Groom”. It is followed by the recipient's name, a short personal message and the special date. When he is not enjoying celebratory drinks it can be displayed anywhere in the home – the simplistic design will suit any décor. 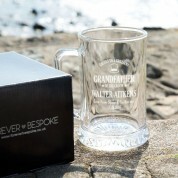 A gift with a personal touch to remember his Grandson's special occasion! Dimensions: Each glass stands approx 15.5 tall and weighs approx 920 grams. 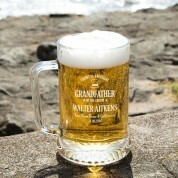 Each tankard is delivered to the customer in a standard black box.